When we have to choose from different types of custom shape stickers, we are faced with two options regarding the cut: the half cut or the full cut (also called Kiss Cut and Die Cut, respectively). Technically, the difference is very simple. 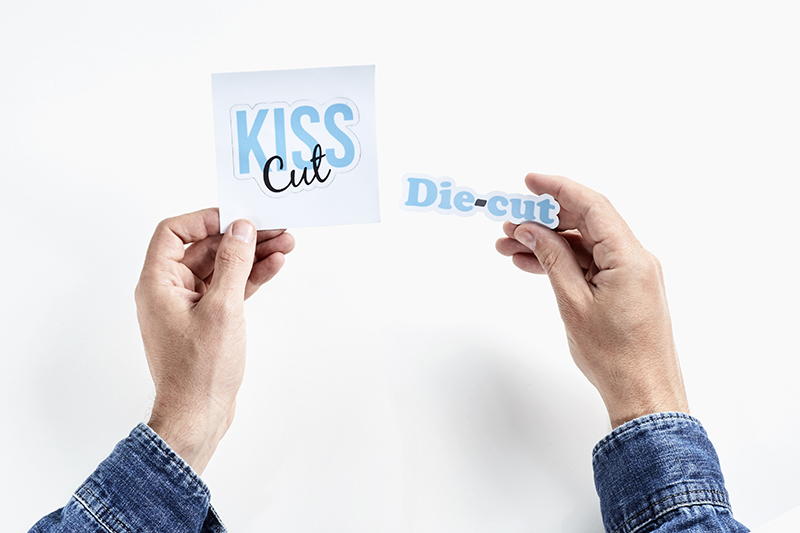 The half cut stickers (Kiss Cut), apart from the personalised cut, also have an adhesive border that protects the shape of the cut. This is a particularly useful feature for those designs with subtle cuts and shapes, which can be folded more easily. This kind of sticker is recommended for large print runs, particularly thanks to this protective edge. 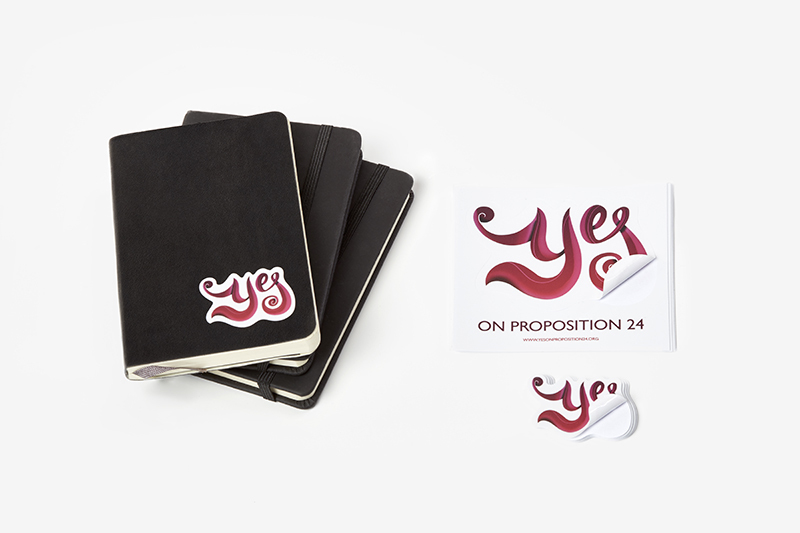 The cropped stickers will stay intact, perfect for distributing them at events or fairs which involve the public and clients.The half cut stickers can be applied to the desired surface easily: you only need to press down on the edge next to the cut on the adhesive sheet, without needing to fold the sticker. Las pegatinas de medio corte se aplican en la superficie deseada fácilmente: sólo hay que apretar en el borde al lado del corte en la hoja adhesiva, sin tener que doblar la pegatina. 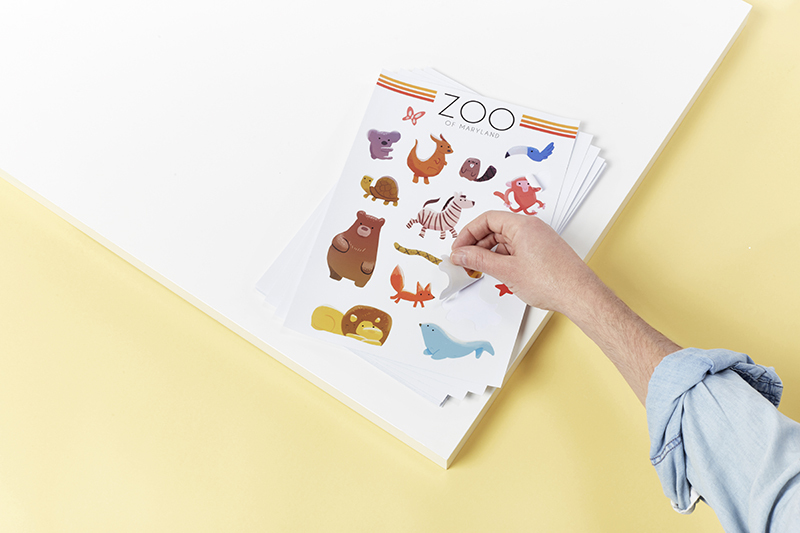 The full cut stickers (Die Cut) are the solution for those looking for a sticker that stands out aesthetically from the beginning, even before putting it up. 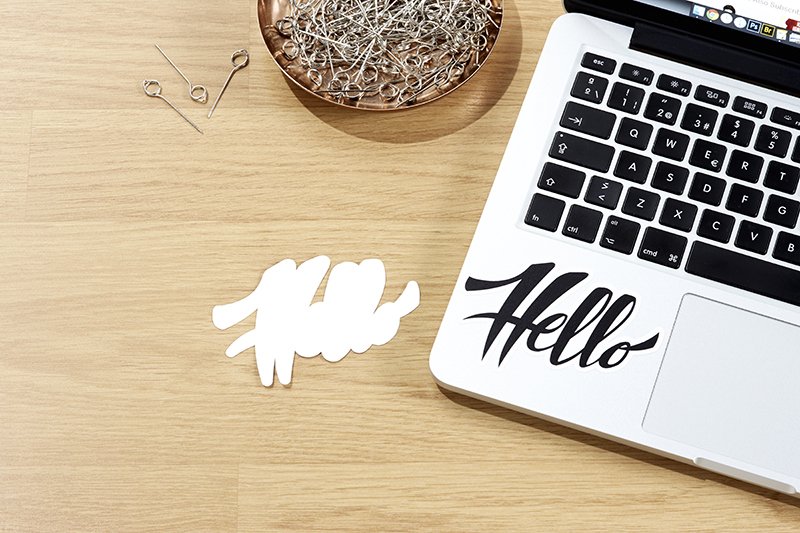 Thanks to the personalised cut, the possibilities of creating and playing around with messages are infinite.Without a doubt, it's about a sticker that grabs your attention due to its presentation. It is recommended for those promos where the logo, message or design has an appealing shape that both emphasises and increases the influence of the brand. Now, the choice is yours. Find the custom shape stickers that best suit your needs.